Lilly is young, plus size woman. She is wealthy and has close friends but on a deeper lever she is lonely and has resigned herself to being the woman men don’t see. Devin desperately needs to find $8000. The bank is threatening foreclosure on the home and business he shares with his father and young sister, and if he doesn’t pay up they’ll be on the street with nothing. 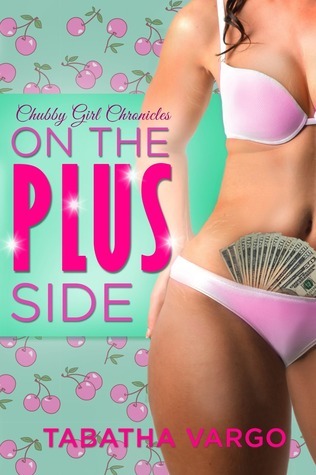 When Lilly’s mother offers to pay the loan if he’ll date her daughter it’s an offer he can’t refuse. As he gets to know Lilly he realizes she is the woman for him, but for there to be any hope of a future he needs to come clean. On the Plus Side is cute and quirky contemporary romance with a bit of a sting in the tail. It deals in part with issues of self-image, of bullying and violence against women but it manages to address those issues without ever getting bogged down in them. It is a light and fluffy read and well worth the effort for fans of contemporary romance. This entry was posted in Uncategorized and tagged contemporary romance, tabatha vargo by setaian. Bookmark the permalink.